Ok now this is just fun to chew! 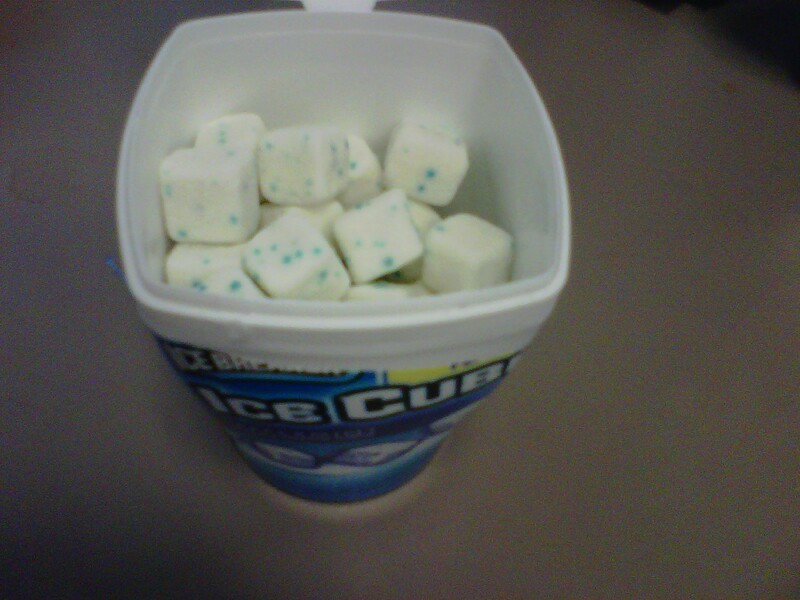 Ice Cubes peppermint gum. Fun shape, even more fun crystals popping in your mouth...That's what she said. My Strange Addiction - Am I getting punked? Will you accept this emotional baggage?